The Times of Israel liveblogged Monday’s events as they happened. The Iran-backed Gazan terror group Islamic Jihad warns it will respond “forcefully” to any Israeli strike on Gaza in response to the rocket attack that left seven Israelis hurt, including two infants, early Monday in the Sharon region north of Tel Aviv. Prime Minister Benjamin Netanyahu has cut short a visit to Washington today after the attack, and says he will be returning to Israel to “oversee our response,” with most political factions in this election season calling for a stiff response against Gazan terror groups. 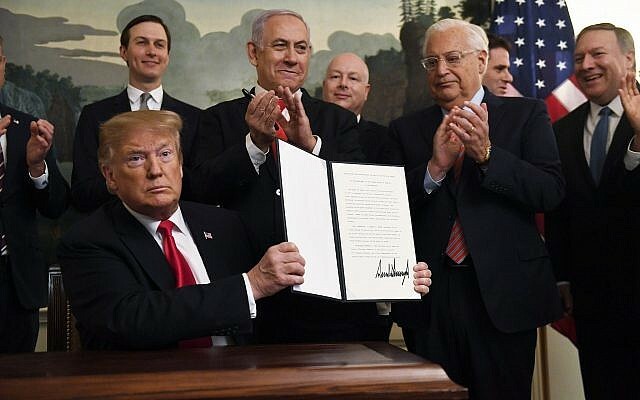 Human Rights Watch on Monday lashes US President Donald Trump for his promise to recognize Israeli sovereignty on the Golan Heights. The recognition is “particularly” worrying given “continuing, serious rights abuses by Israel in the Golan Heights,” the group claims. “The fact that Israel offered Syrians in the Golan Heights Israeli citizenship, which most have declined, does not change the status of the territory as occupied. An occupation continues as long as the occupier maintains effective control over the territory and there is no widely accepted political settlement changing that status,” Human Rights Watch says. The president was briefed on the condition of the seven people wounded by the rocket attack, two of them infants, and about how rescuers responded to the incident, according to a statement from the President’s Residence. “Tell everyone in your area to keep their heads up. We are with you and will not allow this wicked terrorism to shake us,” he told Ritov. The chairman of the Knesset’s powerful Foreign Affairs and Defense Committee says Israel’s leaders were willing to go to war in Gaza following today’s rocket strike north of Tel Aviv, even if it delays the April 9 elections. “The political echelon won’t hesitate to order an operation in Gaza, even at the cost of delaying elections,” MK Avi Dichter of Likud, a former director of the Shin Bet security service, tells Army Radio in an interview. Palestinian media say Hamas is telling Egyptian intermediaries, in an apparent message to Israel, that it will launch an inquiry into the attack, and insists it did not give the order to carry it out. Israeli officials, however, believe Hamas ordered the attack — which follows a similar rocket attack last week aimed at Tel Aviv — to test Israeli responses during the election campaign, according to Hebrew media reports. The Israeli military sends two brigades to bolster the forces deployed near Gaza and calls up reservists for air defense units, an indication it is preparing for the possibility that the political echelon will order a forceful response to a Gaza rocket attack that struck a home in central Israel, injuring seven people. The two reinforcement brigades — one infantry and the other armored — had been conducting training exercises which were cut short due to the heightened tensions. 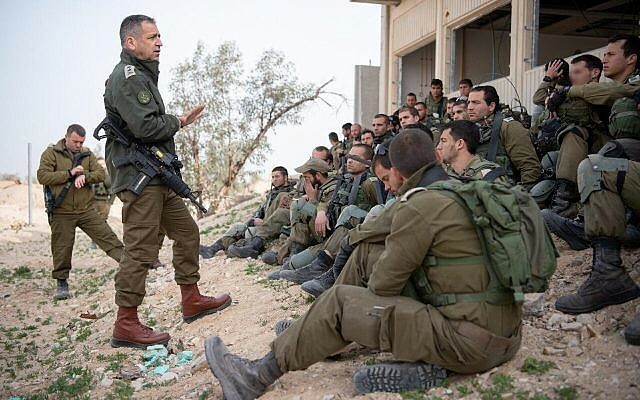 They constitute over 1,000 additional soldiers deployed to the IDF’s Gaza Division, a significant increase. The military says a small number of reservists are also being brought in to serve on Iron Dome missile defense systems. “The launch was carried out by Hamas from one of the group’s launchpads. We see Hamas as responsible for everything that happens in Gaza,” Manelis says. Amir Ritov, mayor of the Lev Hasharon Regional Council, the rural council that is home to the village of Mishmeret where seven people were wounded early today from a Gazan rocket attack, visits the site of the attack. Economy Minister Eli Cohen, a member of the security cabinet that votes on military operations, says he will urge his fellow cabinet ministers to vote for a “powerful” military response to Hamas’s launch of a rocket early this morning that wounded seven people in a village north of Tel Aviv. The worst-hurt member of the family whose home was struck by a Gaza rocket early this morning arrives at Beilinson Hospital in Petah Tikva for additional treatment. The 60-year-old woman was initially hospitalized at Meir Hospital in Kfar Saba together with the other six people — five of them members of her family — who were hurt when the rocket struck their home in the village of Mishmeret. But complications from her shrapnel and shock-wave wounds required special care at Beilinson, according to Hebrew media reports. In a statement, Beilinson says she is in moderate and stable condition in a hospital trauma room where doctors are assessing her situation. Labor party leader Avi Gabbay visits the home struck by a Gaza rocket in the village of Mishmeret north of Tel Aviv. Three of the family members wounded in the Gaza rocket attack early this morning remain hospitalized. A 6-month-old infant is being kept overnight at Meir Hospital in Kfar Saba for observation, but is in good and stable condition. A 12-year-old girl hurt in the attack has been moved to Meir Hospital’s orthopedics department in preparation for surgery on her leg, apparently to remove a piece of shrapnel lodged there. A 60-year-old woman hospitalized in Beilinson Hospital in Petah Tikva with moderate shrapnel and shock-wave wounds is in stable condition in the hospital’s trauma room. The remaining family members have already been released from hospital. Energy Minister Yuval Steinitz, a close confidant of Prime Minister Benjamin Netanyahu, suggests Hamas’s rocket fire early this morning may have been meant to “embarrass” Netanyahu ahead of the April 9 elections. “Israel will respond forcefully but with careful judgment to the fire at the Sharon region,” Steinitz, a member of the security cabinet that votes for military operations, tells the Ynet news site. “No one has a solution to the problems created by the Oslo agreement,” he insists. “It’s possible Hamas fired [the rocket] in order to embarrass Prime Minister Netanyahu ahead of the elections,” he adds. Israeli military officials are meeting with the heads of local governments in the communities around the Gaza Strip to prepare them for expected retaliatory strikes by Israel in the coastal enclave in response to a rocket attack earlier in the day that struck a home in central Israel, injuring seven. Senior Israeli officials tell reporters that a forceful retaliation to the early morning rocket attack is coming, but appears to be delayed by Egyptian attempts to broker a ceasefire and Prime Minister Benjamin Netanyahu’s ongoing visit to the United States. The Hamas terror group reportedly told the Egyptians that the rocket had been fired accidentally, and Palestinian terror groups in the Strip have threatened to respond to any Israeli counterattack. As of now there are no special safety instructions for residents of the Gaza periphery, the IDF says. A spokesperson for Czech President Milos Zeman takes to Twitter to express “solidarity” with Israel after Hamas’s rocket fire on central Israel early this morning. “Israel has the right to a vigorous response,” writes Jiří Ovčáček. The Spanish embassy in Tel Aviv condemns Hamas’s rocket fire on central Israel, urging the terrorist group to cease its attacks and reiterating its commitment to Israel’s security. “Spain recognizes Israel’s legitimate right to defend itself while asking Israel for restraint in its response,” the embassy tweets. Last week, Spain was the only European country to vote in favor of a UN Human Rights Council report that accused Israel of crimes against humanity during last year’s riots at the Gaza border. 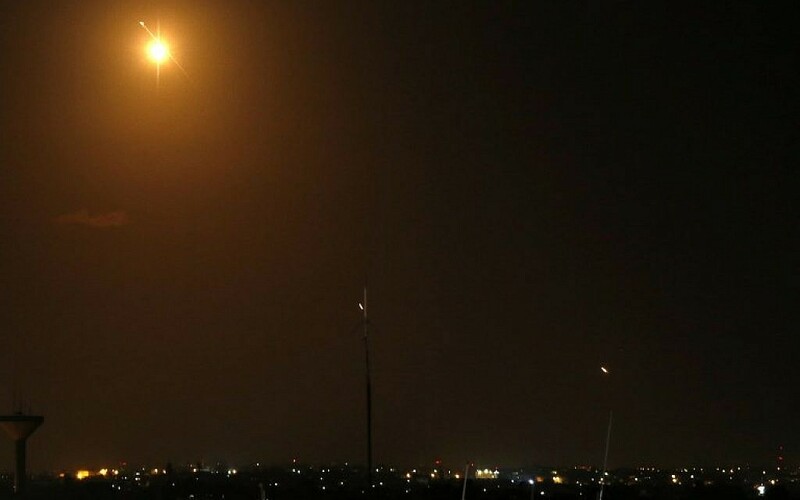 The Hamas-run Gaza Interior Ministry launches an investigation to determine who fired a rocket at central Israel earlier on Monday, a senior Hamas official who spoke on the condition of anonymity tells The Times of Israel. A rocket was fired at central Israel Monday morning from Rafah in Gaza, according to the IDF, which said the launch was carried out from a Hamas installation. The attack left seven injured including two infants. Hamas and Egypt were in contact Monday morning regarding the rocket fire, the Hamas official adds. The official says Hamas has no interest in an escalation. US President Donald Trump’s peace envoy Jason Greenblatt takes to Twitter to slam the Hamas rocket attack early this morning on a home in central Israel. “Again an attack on Israel from Gaza. Again a rocket fired at a major metro area in Israel, which hit a home causing its collapse & injuring 6. We condemn this violence from Gaza & affirm Israel’s right to defend itself,” Greenblatt writes. Again an attack on Israel from Gaza. Again a rocket fired at a major metro area in Israel, which hit a home causing its collapse & injuring 6. We condemn this violence from Gaza & affirm Israel’s right to defend itself. During a tour of south Tel Aviv this morning, Union of Right Wing Parties chairman Rafi Peretz says that while the government must find a solution that sees the thousands of African migrants currently residing in Israel booted from the country, the state also “has a responsibility to care for their well-being” while they’re here. The comments immediately spark an uproar within his faction, which includes the extremist far-right Otzma Yehudit party. URWP’s No. 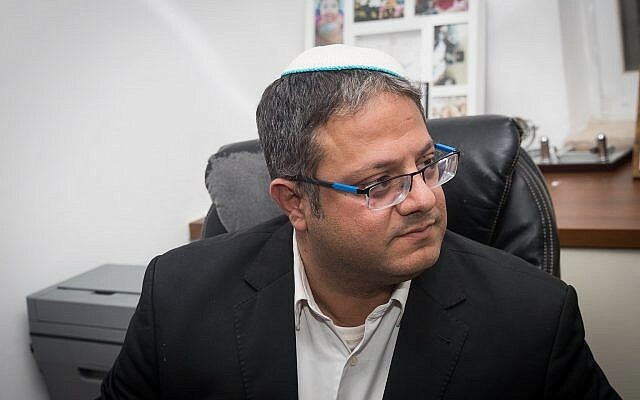 7 candidate, Otzma Yehudit’s Itamar Ben Gvir, releases a statement chastising Peretz for his remarks, saying the only thing he, Ben Gvir, is concerned about is “sending the infiltrators back to where they came from with nothing more than the clothes on their backs,” and adding that the state’s care for African migrants has come at the expense of Israelis, particularly those in south Tel Aviv. A reporter for the British daily The Telegraph says the family wounded in the rocket attack from Gaza earlier today are British nationals. “Robert and Susan Wolf, originally from London, were with their children and grandchildren when the rocket struck,” Raf Sanchez writes on Twitter. BREAKING: The family wounded when their home was destroyed by a rocket from Gaza are British-Israelis. Israeli troops begin closing off open areas around the Gaza Strip ahead of possible military operations and escalating violence in the area after a rocket attack from the coastal enclave struck a home in central Israel early this morning, injuring seven people. Soldiers can be seen shutting gates leading to the Black Arrow memorial site, which overlooks northern Gaza, as well as other locations near the Strip. The army won’t give further details on its plans to declare certain areas around the Gaza Strip closed military zones. The army says no special instructions have been given to residents of the area as yet. A Finance Ministry official in charge of compensating terror victims for property damages says some 30 homes in the central Israeli village of Mishmeret were damaged by the rocket attack from Gaza that struck the village early this morning. The rocket hit a home in the village, wounding six members of one family and a 12-year-old neighbor who was visiting at the time. But damage from the shock wave, debris and shrapnel from the impact could be found throughout the neighborhood, according to Amir Dahan, who heads the Property Tax Compensation Fund in the Tax Authority. Officials are currently looking for a long-term alternative housing arrangement for the family whose home was completely destroyed in the impact, Dahan says. Two members of the family and the neighbor are still hospitalized as of this afternoon. In a tweet, Mladenov says the UN is working with Israel, the Palestinians and Egypt to deescalate the situation. Jordan’s King Abdullah II has cancelled a visit to Romania after its prime minister vowed to move her country’s embassy in Israel from Tel Aviv to Jerusalem, his office says. The king “decided to cancel his visit to Romania which was due to begin on Monday in solidarity with Jerusalem” following the announcement by Prime Minister Viorica Dancila, a royal court statement says. Dancila’s promise, made yesterday at the annual conference of the pro-Israel lobby AIPAC in Washington, broke with the position of both the European Union and her own president. Romania’s centrist president Klaus Iohannis has opposed the embassy transfer and has called Dancila “ignorant” over her AIPAC remark. An embassy move would require presidential approval. Amid tensions in the Gaza Strip area over a rocket fired this morning to central Israel that wounded seven Israelis, an incendiary device attached to balloons lands near train tracks near the city of Kiryat Gat, police say in a statement. A sapper is called in to defuse the explosive device. “The hazard was removed,” police say. The IDF confirms that troops have shut down a number of areas and roadways around the Gaza border in light of the heightened tensions following a rocket attack from the Strip that hit a home in central Israel, injuring seven people. “In light of a security assessment and as part of efforts to improve preparedness, the Gaza Division decided to close off some areas and roads near the [Gaza] security fence. In addition, it was decided to halt farmwork in the fields adjacent to the security fence,” the army says in a statement. The ambassadors of the United States, France and Germany release separate statements condemning the rocket attack on central Israel from Gaza that hit a house, wounding seven people, including two small children. US envoy David Friedman says he was “outraged” by the news, lining up with Israel in blaming the Hamas terror group for the launch. French envoy Helene Le Gal retweets a French Foreign Ministry statement. “France condemns with the utmost severity this morning’s rocket fire from Gaza, which intentionally targeted populated areas in Israeli territory and caused a number of injuries in the community of Mishmeret,” the ministry says in a French- and Hebrew-language statement. British Ambassador to Israel David Quarrey joins foreign envoys condemning this morning’s rocket attack on central Israel in which a house was hit and seven people — British-Israelis — were wounded, including two toddlers. We unequivocally condemn today’s rocket attack into Israel from Gaza. Our thoughts are with the British-Israeli family whose house in Mishmeret was hit. There can be no justification of any kind for this attack, whose consequences could have been devastating. The French Council of the Muslim Faith (CFCM) says it is suing internet giants Facebook and YouTube for allowing the public broadcast of a live video by the man who carried out the New Zealand mosque massacre this month. The council says it is suing the French branches of the two tech giants for “broadcasting a message with violent content abetting terrorism, or of a nature likely to seriously violate human dignity and liable to be seen by a minor,” according to the complaint, a copy of which has been seen by AFP. Schools and other activities in communities near the Gaza Strip end early and students are sent home. Authorities are reportedly assessing that further violence in the area could erupt in the coming hours, as Israel prepares a military response to the rocket launch from Gaza at central Israel this morning. All public events planned to take place today in the southern city of Ashkelon are canceled, following security consultations between the mayor and the IDF’s Home Front Command and in light of an expected military escalation following a rocket launch this morning from Gaza at central Israel. The canceled events include all school activities and soccer match in Liga Leumit, Israel’s second league, between local team Hapoel Ashkelon and Hapoel Ramat Hasharon. The Knesset’s Finance Committee approves the allocation of NIS 693 million ($191 million) to secure and fortify buildings and structures against rocket attacks. The funds are for fortifying public shelters and public institutions, as well as placing concrete structures in public spaces. The vote on the plan had been scheduled before this morning’s rocket attack on central Israel. 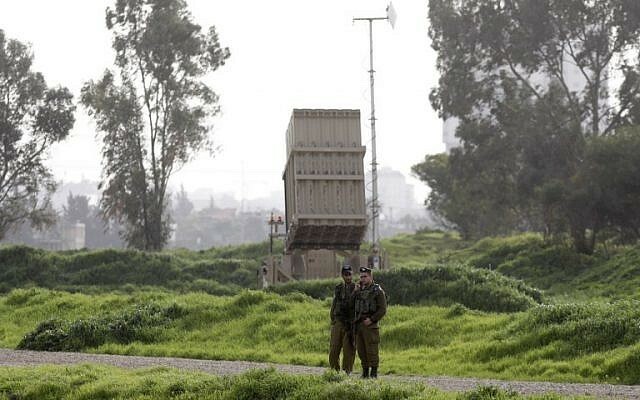 The Israeli military has deployed additional Iron Dome missile defense batteries throughout the country as part of a series of cautionary steps following a rocket attack from the Gaza Strip earlier in the day that struck a home in central Israel, injuring seven. Former IDF chief of staff Benny Gantz, Prime Minister Benjamin Netanyahu’s main rival in the upcoming elections, speaks at the AIPAC conference in Washington. He stresses his long military experience and his commitment to unity. He vows to rid the country’s leadership of racism and of corruption, in an apparent jab at Netanyahu, who is facing graft charges in three cases pending a hearing, and who fought for extreme-right candidates to be included in an alliance of right-wing parties. 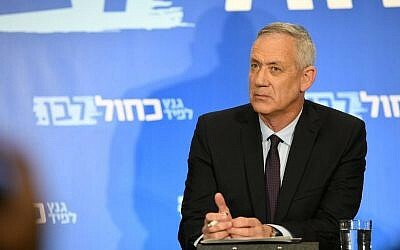 מועמד "כחול לבן" לראשות הממשלה, בני גנץ – Benny Gantz, בוועידת AIPAC. “There will be no radicals, from either side of the political map, ruling. There will be no ‘Kahanists’ running our country. There will be no racists leading our state institutions,” Gantz says. “There will be no corruption leading our way. No corruption whatsoever.The leaders of Israel cannot be led by anything else other than the best interest of Israel and its people. “As the former IDF chief of staff and a future leader of Israel, I know that the secret of our strength is based on our ability to stand together. Unity. That is the secret weapon of the Jewish nation,” Gantz says. Otzma Yehudit party member and Union of Right Wing Parties (URWP) candidate Itamar Ben Gvir announces that he has filed a petition to the Supreme Court against yesterday’s ruling by the Central Elections Committee, which dismissed the URWP request to bump him up two spots on its joint list to take the spot of Otzma Yehudit head Michael Ben Ari, who was disqualified last week by the Supreme Court for incitement to racism. A decision from the top legal body is expected in the coming days. Residents of Israeli communities near the Gaza border are told to expect to hear the sounds of explosions as the Israeli military begins conducting strikes in the Strip in response to a rocket attack from the coastal enclave earlier in the day that leveled a home in central Israel and injured seven. “In a short time explosions will be heard as part of the IDF’s offensive activities. In light of this, please be more aware, abide by all safety instructions, and if air raid sirens are heard, please enter a protected space and remain there for at least 10 minutes,” the Sdot Negev Regional Council tells residents of the area. The rare statement appears to indicate Israeli strikes in the Strip are imminent. The Al-Arabiya website reports an Egyptian delegation scheduled to enter Gaza today has canceled its arrival, expecting Israel to strike the Strip. Authorities in Ashkelon and communities near the Gaza Strip order the opening of public shelters in expectation of Israeli strikes in Gaza soon, Channel 12 reports. Train service from Ashkelon to Sderot has been halted in light of the heightened tensions in the area following a rocket attack from Gaza that destroyed a home in central Israel, injuring seven people. US President Donald Trump will formally recognize Israeli sovereignty over the Golan Heights with Prime Minister Benjamin Netanyahu at his side, Vice President Mike Pence says during his speech to AIPAC. “Today for the first time in 52 years, with Prime Minister Netanyahu at his side, the president of the US will formally recognize Israel’s sovereignty over the Golan Heights,” Pence says to applause as he addresses the US pro-Israel lobby. In his speech to AIPAC, US Vice President Mike Pence condemns the use of “anti-Semitic language” in Congress, and says Minnesota representative Ilhan Omar should be removed. “Anti-Semitism has no place in the United States of America,” he says to loud applause. He says Omar “should not have a seat” on the House Foreign Affairs Committee. “It’s wrong to boycott Israel and it’s wrong to boycott AIPAC,” he says repeating accusations that Democratic presidential candidates are boycotting the annual AIPAC conference. “Let me be clear on this point, anyone who aspires to the highest office in the land should not be afraid to stand with the strongest supporters of Israel in America,” he says. Hamas spokesman Fawzi Barhoum says the price Israel will pay for carrying out “stupidity at the expense of Gaza” will be beyond its calculations. “The cost of the Israeli occupation perpetrating any stupidity at the expense of Gaza or its resistance will be above its estimations and it will find itself standing in front of a strong resistance ready for this day and completely prepared to fight the battle of deterrence and defending our people,” he writes on Twitter. British Foreign Secretary Jeremy Hunt says he was “appalled” by this morning’s “unacceptable” rocket attack from Gaza that destroyed a home in central Israel belonging to a British-Israeli family. Meanwhile, Italy, the Netherlands and Cyprus join the countries who have condemned the attack that wounded seven people, including two small children. Palestinian media reports that Israeli strikes in the Gaza Strip have begun and that loud explosions have been heard. All hospitals in the Palestinian enclave announce an emergency situation, calling in extra staff from their homes. Israeli strikes in the Gaza Strip have begun, the military says, with multiple reports of blasts heard from the border area. “At this time, the IDF has started to attack terror targets belonging to the Hamas terror group throughout the Gaza Strip,” the army says in a statement. Prime Minister Banjamin Netanyahu is on his way to the White House to meet Donald Trump, where US president will sign a declaration officially recognizing Israeli sovereignty over the Golan Heights. Trump will sign the declaration in the diplomatic reception room alongside Netanyahu before the two head to the Oval Office for talks. 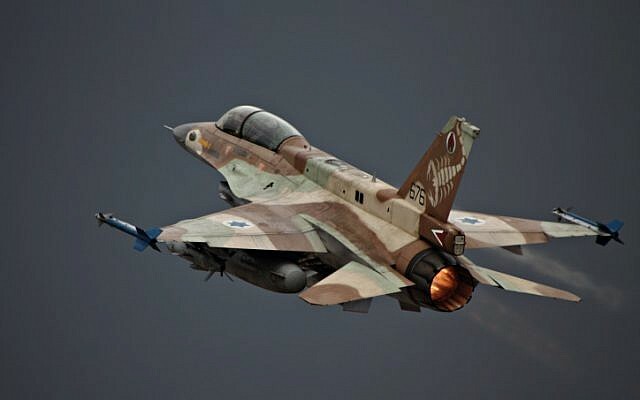 Israeli aircraft hit a post in the northern Gaza Strip belonging to the Izz ad-Din al-Qassam Brigades, Hamas’s military wing, with two missiles, the Shehab news site in the coastal enclave reports. Prime Minister Benjamin Netanyahu enters the White House in Washington DC for a meeting with US President Donald Trump. US Vice President Mike Pence confirmed earlier that Trump will formally recognize Israeli sovereignty over the Golan Heights today. US President Donald Trump expresses backing for Israel’s strikes in Gaza, saying they are necessary to preserve the country’s security. In a White House press conference with Prime Minister Benjamin Netanyahu ahead of their meeting, Trump says he will formally recognize Israeli sovereignty over the Golan Heights in a few minutes. No injured people have arrived at hospitals in the Gaza Strip as of 6:02 p.m., the Hamas-run Health Ministry tells reporters. 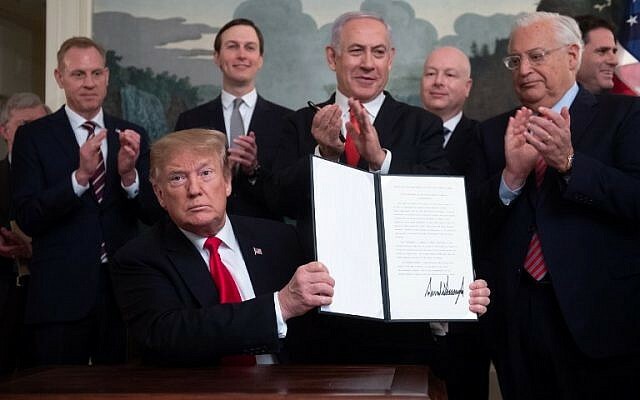 US President Donald Trump signs a decree officially recognizing Israeli sovereignty in the Golan Heights, after tweeting Thursday that it was “time” to make the step. Israel captured the northern region from Syria in the 1967 Six Day War and formally extended its control over it in 1981, in a move that — until now — had not been recognized by any other country. US President Donald Trump says he would want to see Benjamin Netanyahu reelected as prime minister in the April 9 Knesset elections. Seconds after he recognized Israeli control over the Golan Heights alongside Netanyahu at the White House, a reporter asks Trump whether he would like Netanyahu to win the elections. “Yes I do, yes I do,” the president answers. Tel Aviv Mayor Ron Huldai orders all public bomb shelters opened as Israeli aircraft bombard Hamas targets in the Gaza Strip following a rocket attack earlier in the day that destroyed a home in central Israel, injuring seven people. Syria’s Foreign Ministry condemns US President Donald Trump’s recognition of Israeli sovereignty in the Golan Heights. “Trump’s recognition is a blatant attack on Syria’s sovereignty and its territorial integrity,” the ministry says. Hamas chief Ismail Haniyeh responds to Israeli strikes in the Gaza Strip — which come following this morning’s rocket attack that detroyed a home in central Israel and wounded seven people — linking it to tensions in Jerusalem’s Temple Mount and recent attacks by Palestinian prisoners on Israeli guards after authorities blocked their cellphone reception. “The Palestinian issue is facing a comprehensive assault on all levels and fronts in Jerusalem, the West Bank, Gaza and inside the occupation’s prisons,” Haniyeh says. Following Tel Aviv, the cities of Rishon Lezion, Beersheba, Petah Tikva and Kiryat Gat also order bomb shelters opened in light of Israeli strikes in the Gaza Strip in response to a rocket attack on central Israel this morning that destroyed a home and injured seven people. 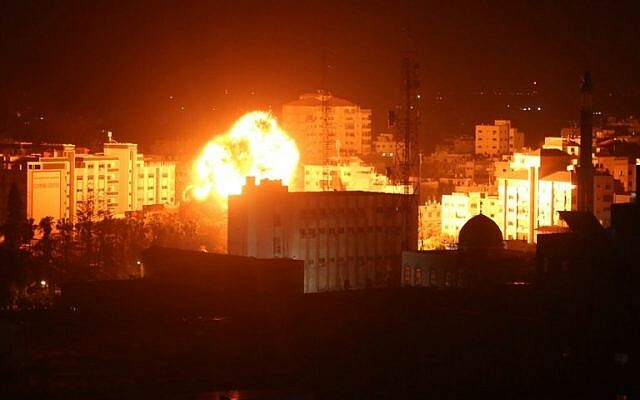 Palestinian media reports a new wave of “intense bombardment” on buildings in the Gaza Strip. In one case, an Israeli aircraft struck a building in Gaza City with several missiles, Shehab, a Gazan news site, reports. Israeli aircraft destroyed a building in the surrounding area of the Abu Khadra government complex in Gaza City, the Hamas-linked Al-Aqsa TV reports. The Israeli military identifies one of its targets as a “secret headquarters” of Hamas’s intelligence services. “Fighter jets just now attacked a three-story building in the area of Sabra in the Gaza Strip. This is a secret headquarters of the Hamas terror group, which is used by the internal security, central intelligence, and military intelligence branches of the group,” the IDF says in a statement. Moscow says it fears “a new wave of tensions” in the Middle East, following the decision by Washington to recognize Israeli sovereignty over the Golan Heights, which are claimed by Russian ally Syria. “Unfortunately, this could drive a new wave of tensions in the Middle East region,” Russia’s foreign ministry spokeswoman Maria Zakharova says in a radio broadcast, according to Russian news agencies. President Reuven Rivlin thanks US President Donald Trump for his “brave and unprecedented” decision to recognize Israeli sovereignty in the Golan Heights. 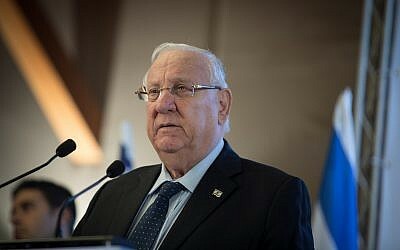 “I thank the president of the United States, Donald Trump, a true friend of the State of Israel, for his brave and unprecedented decision to recognize Israeli sovereignty on the Golan Heights, as well as his recognition of Jerusalem as the capital of the State of Israel,” Rivlin says in a statement. As of 7:22 p.m., no injured people have arrived at hospitals in the Gaza Strip, amid intense Israeli strikes, the Hamas-run Health Ministry says. 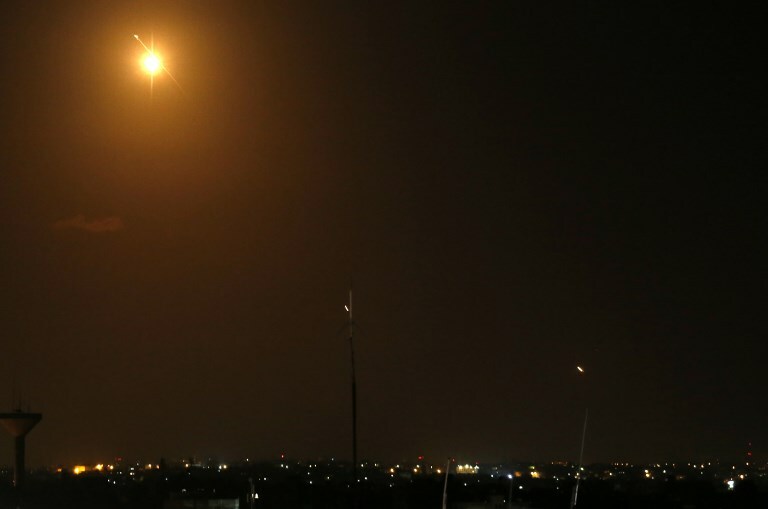 Israeli aircraft target a building in the upscale Rimal neighborhood of Gaza City, which the military says was used by the Hamas terror group’s internal security service. Palestinian media report ongoing Israeli strikes throughout the coastal enclave in response to a rocket fired from the Gaza Strip earlier in the day, which struck a home in central Israel, injuring seven people. As Israel launches another round of airstrikes on targets in the Gaza Strip, Intelligence Minister Israel Katz tells Channel 13 that they are just at their beginning. “This operation is the most significant since Operation Protective Edge [in 2014]. It has just begun and it will hit significant Hamas targets,” Katz says. Air raid sirens blare in the southern Israeli Eshkol region, amid ongoing Israeli strikes in the Gaza Strip. The military says it is investigating what triggered the alarms. Anticipating more Hamas rocket attacks amid Israeli strikes in Gaza, the central Israeli cities of Herzliya, Hod Hasharon, Kfar Saba and Ra’anana all order public shelters opened. Channel 13 reports that even the Hof Hacarmel Regional Council in the northern city of Haifa has open the bomb shelters. Train service between Tel Aviv and southern cities tonight has been canceled. Rocket alarms were triggered in Israeli communities near the Gaza Strip by two mortars fired from the Palestinian enclave, Hebrew-language media reports. The mortars landed in open areas, causing no injuries or damage, the reports say. One Palestinian has been injured in the wake of Israel’s bombardment of the Gaza Strip, the Hamas-run health ministry says. The statement does not detail the extent of the injuries. Residents of the Eshkol region say they heard the sound of an explosion after air raid sirens were triggered in the area, but no injuries or damage are reported. An Eshkol spokesperson says authorities are searching the region for an impact site. Israeli aircraft bombarded the office of Hamas chief Ismail Haniyeh in Gaza City, Shehab, a news site based in the coastal enclave reports. Turkey denounces US President Donald Trump’s recognition of Israeli sovereignty over the Golan Heights as an “election gift” to Prime Minister Benjamin Netanyahu. 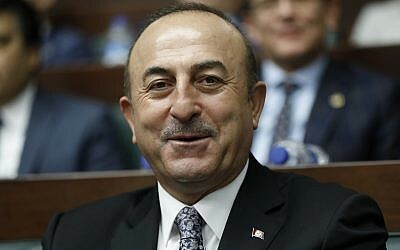 “Trump’s signing is virtually an election gift to Netanyahu who is in difficulty ahead of elections,” Turkish Foreign Minister Mevlut Cavusoglu says during a speech in the southern province of Antalya. “Whatever you do for (Netanyahu) — who even divides his own people, who bombs in Gaza today as you can see — for this tyrant, there will be no advantages. America’s efforts are in vain,” Cavusoglu says in televised remarks. 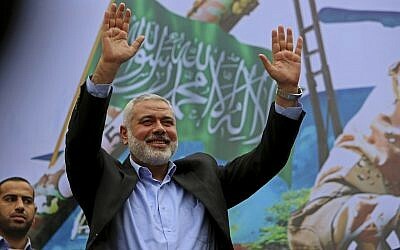 Palestinian media reports that Hamas chief Ismail Haniyeh’s office has been completely destroyed in the Israeli strike. The reports publish footage allegedly from the airstrike. Residents of the central West Bank settlement of Beit El say they heard gunshots moments ago. The IDF has no immediate comment on the reports. The IDF confirms that it targeted Hamas leader Ismail Haniyeh’s office in Gaza City in response to a rocket fired from the coastal enclave earlier in the day that destroyed a home in central Israel, injuring seven people. “IDF fighter jets just now attacked the office of Hamas chairman Ismail Haniyeh in the Rimal neighborhood in the northern Gaza Strip,” the army says. Blue and White party leader Benny Gantz says Israel’s response to rocket fire from Gaza must lead to diplomatic efforts to reduce tensions between Israel and the Hamas terror group, which controls the coastal territory. “On the basis of tough and uncompromising deterrence, we must then work with the Egyptians and other international players to help improve the situation,” he tells Channel 12, in an interview from Washington, where he delivered a speech to the AIPAC conference earlier today. “Now is of course the time to attack and to attack hard… No Hamas leader should feel safe now. They are all in our sights,” he says, but adds that the “three and a half years of quiet” since the 2014 Gaza War were “wasted” by the government. “We should have done something with it. We should have acted differently,” he says, citing humanitarian aide to Gaza and “other possible agreements” as paths not sufficiently explored. “After putting on pressure, the State of Israel needs to act like a state,” he adds. A spokesman for the Beit El settlement says that a 7-year-old boy in the central West Bank community has been lightly injured from gunfire that came from the adjacent village of Jalazone. The gunfire is believed to have struck him in the hand, the spokesman says. The IDF could not immediately comment on the matter. Magen David Adom medics are treating the boy at the scene. Sirens sound in the town of Sderot and the nearby Sha’ar Hanegev region of southern Israel, amid ongoing Israeli strikes in the Gaza Strip, carried out in response to a rocket attack earlier in the day that struck a home in central Israel, injuring seven people. The Israeli military says it is investigating what triggered the alarms. Another round of sirens are triggered in the town of Sderot and nearby Sha’ar Hanegev region of southern Israel, as terror groups in the Gaza Strip launch a barrage of rocket at Israeli communities. A young boy was lightly injured in a terror shooting in the central West Bank settlement of Beit El, the IDF says. The child has been rushed to a nearby hospital for further treatment as IDF troops scan the area. Another round of air raid sirens is triggered in southern Israel in the Central Negev Region, including in the town of Netivot. Hebrew-language media reports that a home in the city of Sderot suffered a direct hit, but no injuries were caused. The European Union condemns the rocket fire this morning from Gaza at central Israel, which destroyed a home and wounded seven people, and urges calm in wake of tonight’s Israeli response. “Seven Israelis, including two children, were injured this morning when a rocket fired from Gaza hit their home in the Israeli community of Mishmeret, north east of Tel Aviv,” an EU spokesperson says in a statement. “We wish a speedy recovery to those injured. Rocket attacks from Gaza and any other violent actions or provocations by Palestinian militants in Gaza must stop immediately. The European Union reiterates its fundamental commitment to the security of Israel. Three Palestinians were injured in the wake of an Israeli bombardment of the northern Gaza Strip, the Hamas-run Health Ministry says. A total of five Palestinians have been wounded since Israel launched a military airstrike campaign in the coastal enclave in earlier tonight, according to the ministry. Prime Minister Benjamin Netanyahu delays his return to Israel from the US by three hours amid intense security consultations regarding the escalation in and around the Gaza Strip. Netanyahu is currently holding security consultations in the Blair House in Washington DC. A home in the southern town of Sderot is hit by shrapnel during a barrage of rockets and mortar shells from the Gaza Strip. It is not immediately clear if the house was hit by one of the projectiles or by fragments of an Iron Dome interceptor missile, several of which were fired at the incoming fusillade. Photographs of the scene show that a wall was hit by pieces of shrapnel and that a balcony awning was destroyed by the impact. Another round of air raid sirens is triggered in the Eshkol region of southern Israel. Hamas spokesman Fawzi Barhoum says that Egypt has managed to broker a ceasefire between Israel and the terror groups in the Gaza Strip. “Egyptian efforts succeed [in achieving] a ceasefire between the occupation and the resistance factions,” Hamas spokesman Fawzi Barhoum says in a statement. According to reports, the ceasefire will go into effect at 10:00 p.m.
Salama Maroof, the head of the Hamas-run government media office, writes on Twitter that all Hamas-run ministries and institutions will be open tomorrow as usual. Palestinian media outlets report a new Israeli strike near the Khan Younis port, moments after a Hamas spokesman claimed that a ceasefire was set to go into effect at 10:00 p.m.
Egyptian mediators have reportedly demanded immediate calm from both Israel and Hamas, amid a major exchange of fire between the two sides. The report said that Egyptian officials threatened to abandon its role as mediator between Israel and Hamas if both sides did not avoid further escalation. It said Cairo was holding “intensive talks” with both sides. Israeli security officials are briefing Prime Minister Benjamin Netanyahu in Washington, DC, about the escalating tensions in the Gaza Strip. Netanyahu is meeting with national security adviser Meir Ben-Shabbat and military secretary Avi Blut at the Blair House, the official White House guest residence. He is also discussing the situation with IDF Chief of Staff Aviv Kochavi and Shin Bet director Nadav Argaman. Netanyahu is expected to return to Israel later this evening. Hamas chief Ismail Haniyeh lashes out at US President Donald Trump’s decision to recognize Israeli sovereignty over the Golan Heights. “These American positions and oppressive decisions that come out of nowhere will not change historical and geographical facts of the Syrian land and the Syrian-Arab people’s rights in the occupied Golan,” Haniyeh says in a statement. Earlier on Monday, Trump formally recognized Israeli sovereignty over the Golan Heights, saying the dramatic shift in American policy would help Israel defend itself against regional threats. Another round of air raid sirens is triggered in the Shaar Hanegev and Eshkol regions of southern Israel. The sirens indicating an incoming rocket strike are sounding in the Gaza-adjacent communities, despite Hamas announcing that a ceasefire was set to go into effect at 10:00 p.m. The UN Security Council in a December 1981 resolution called Israel’s de-facto annexation of the Golan Heights is “null and void and without international legal effect” — and the UN says Secretary-General Antonio Guterres adheres to council resolutions. UN spokesman Stephane Dujarric says that Guterres’ position remains unchanged despite US President Donald Trump’s formal recognition of Israel’s sovereignty over the Golan Heights. 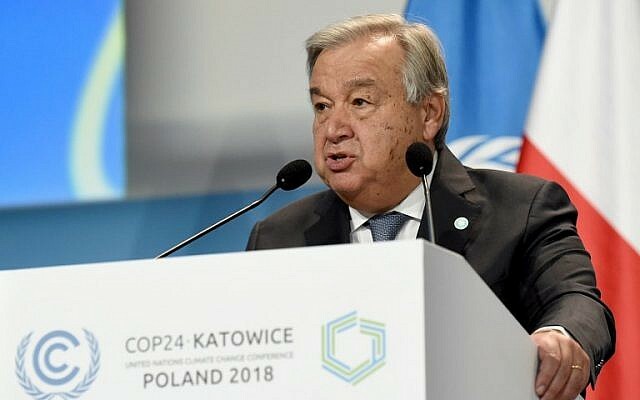 Guterres says in a report on recent activities of the UN peacekeeping force on the Golan Heights that he was “gravely concerned” at escalating tension there between Israel and Syria. He circulates the report to the Security Council. The secretary-general singled out three incidents between Syria and Israel between November 20 and February 11. Another round of air raid sirens is triggered in the town of Sderot in the Shaar Hanegev region of southern Israel. At least 10 rockets fired from the Gaza Strip this evening have targeted the Sderot area, according to media reports. At least one home was hit, bu there were no reports of casualties from those rocket attacks. The IDF says that some 30 rockets have been fired at Israel since 10:00 p.m., when Hamas announced that an Egyptian-brokered ceasefire deal was going into effect. In a statement, the army says that a number of the projectiles were intercepted by the Iron Dome missile defense system, and that nearly all the rest landed in open areas in southern Israel. The Education Ministry has cancelled school and all other school-related activities in Ashkelon tomorrow, as dozens of rockets fired from the nearby Gaza Strip landed in and around communities in southern Israel. The ministry says it is issuing instructions for Ashkelon and the surrounding communities at the recommendation of the Home Front Command. The statement says instructions the will be updated tomorrow morning at 5:00 a.m. Rocket warning alarms are being heard in the Eshkol Regional Council, suggesting a fresh launch at the area from Gaza. It is the second such rocket-launch alert since midnight. More rocket alerts, this time in the coastal city of Ashkelon, just north of Gaza. Boarding his plane from Washington to Israel, Prime Minister Benjamin Netanyahu says he plans to head straight to IDF headquarters after landing in Tel Aviv Tuesday afternoon. More rocket warnings in city near the Strip, with no reports of injuries or damage. The army says around 30 launches from Gaza have been identified since 10 p.m., when Hamas said it was entering into a ceasefire. Several of the rockets were intercepted by Iron Dome, while others fell in open areas and did not cause damage. IDF aircraft have struck 15 targets in the Gaza Strip in response to ongoing rocket attacks on Israel, the army says. The sites included Hamas and Palestinian Islamic Jihad military compounds in the north of the territory.